The natural world is filled with many curious yet fascinating things. It’s no secret that there are plenty of creatures with incredible abilities – whether land, air or sea creatures – including colourful camouflage capabilities, the skill of breathing both in and out of water, and the talent of still being able to swim or fly whilst sleeping! A lot of these things seem almost like superpowers compared to what we, as humans, are capable of doing! But there’s an entirely other end to the spectrum… Many creatures are equipped with their own set of deadly powers, helping them to capture prey and deter or defy predators. We’ve all heard about the ferocious appetite of sharks and the venomous bite of snakes, but here are three creatures that are more than meets the eye. Each has its own unique ‘superpower’ that can be used to grab its next meal or stop it from being the next meal of a different creature! Due to their tiny size of just two inches in length, you might be easily fooled into thinking that tree frogs pose zero threat. 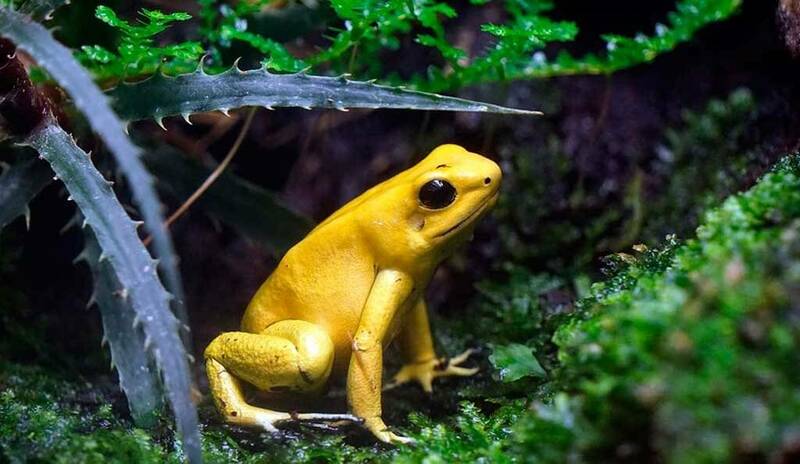 However, the sunshine-yellow golden dart frog is considered to be one of the deadliest creatures on the planet! Commonly found in the tropical rainforests of Central and South America, these little frogs can certainly pack a punch. The venom in a single frog has the astounding ability to kill TEN grown men! Whilst there are many other species of poison dart frog, the golden dart frog is perhaps the most recognisable and infamous. Its poison induces a severe attack on a human, resulting in heart failure and a rather speedy near-instant death. The poison in these frogs is so notorious that it was widely used (and still is) for poison darts by hunters and local indigenous groups in South America. The frog keeps its poison beneath the skin in glands, which causes a nasty shock should any creature try to take a bite out of them. Interestingly enough, though, these frogs don’t usually have the opportunity to use their poison – their brightly coloured skin acts as a deterrent for predators from the very beginning. You’re probably familiar with all the scary stories about piranhas, but these fish actually have a rather misinformed image. Yes, piranha teeth are rather ferocious looking, but there is much, much more to these fish than the idea of them being carnivorous (flesh-eating) creatures who are always looking to satisfy their hunger. Many species of piranha are somewhat lazy and timid, and will actually only attack another creature if the creature is already wounded or dying. 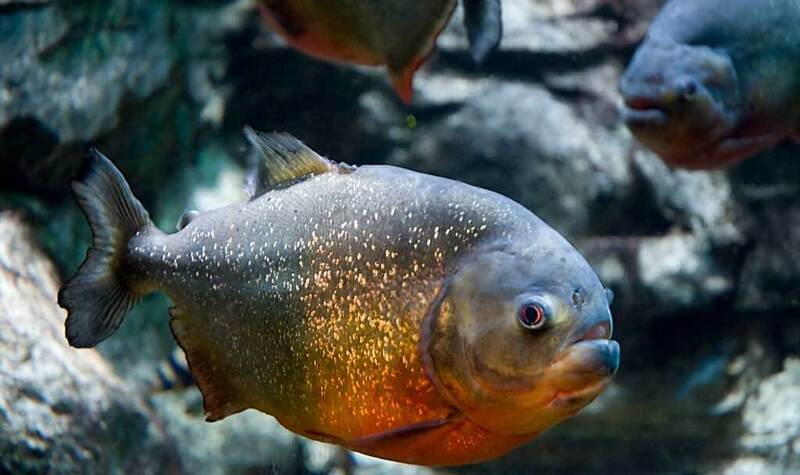 They aren’t particularly picky eaters, but piranhas don’t like to bite off more than they can chew, which is why they’ll stick with smaller creatures that pose little threat to themselves, or those that are too weak to fight back. It’s no real surprise where piranhas get their feared reputation from, though. The triangular teeth of a red-bellied piranha are so razor-sharp that they can cut through steel! As a shoal, these piranhas can strip an animal to its skeleton within a matter of minutes. Whilst this sounds like the stuff of nightmares, remember: piranha are incredibly unlikely to attack a creature simply out of the blue. To prove this point, many scientists have actually waded into pools of piranha and come out completely unharmed! Electric eels are another peculiarity of the natural world. Whilst we humans didn’t formally discover electricity until Benjamin Franklin conducted his famous kite experiment in 1752, electric eels have been roaming the planet long before then – we just didn’t know about it! 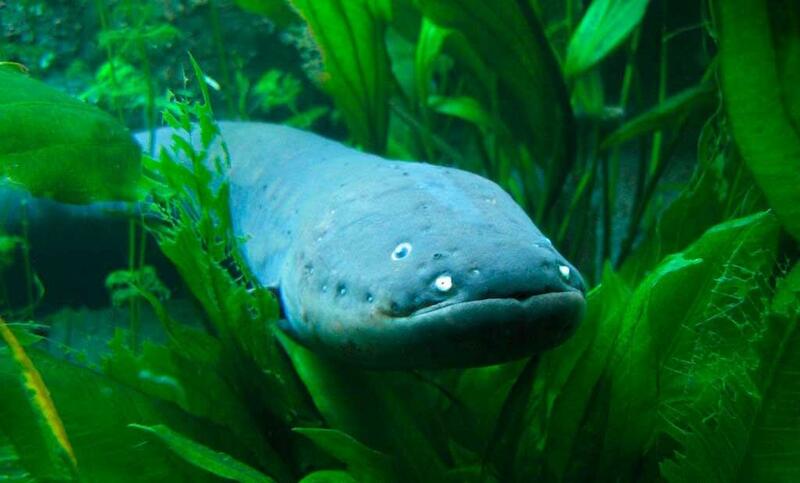 Many scientists have compared the electric eel to a battery, saying that the electrical power stored in some 6,000 cells in its body works in a similar way. In fact, these eels can each generate a charge of up to 600 volts – to put things into perspective, the voltage of an average light bulb is between 40 volts and 100 volts! This amount of force can knock a fully-grown horse off its feet and will definitely give a human a rather nasty shock. But why do electric eels have this current? They use their electrical power in a number of ways. The eels mostly live in murky streams and ponds across South America and have bad eyesight, which makes hunting a little tricky. They can emit a small charge that helps them to navigate through water and locate prey. Then they will amp up this charge to stun their prey and enjoy a tasty meal! The electrical power also acts as a way to dissuade predators. After all, what creatures would willingly try to eat something that can zap it with electricity?! Come and spot these incredible creatures for yourself at Deep Sea World! You’ll find golden dart frogs in our Amphibians Zone, a shoal of piranha in our South America tank and electric eels in our Amazon Exhibit. That’s not all, though – make sure you check out our daily talks and feeds for the chance to find out even more about these creatures and ask our team of aquarists all of your questions. Don’t forget to book your tickets online in advance to enjoy our seasonal discounts!